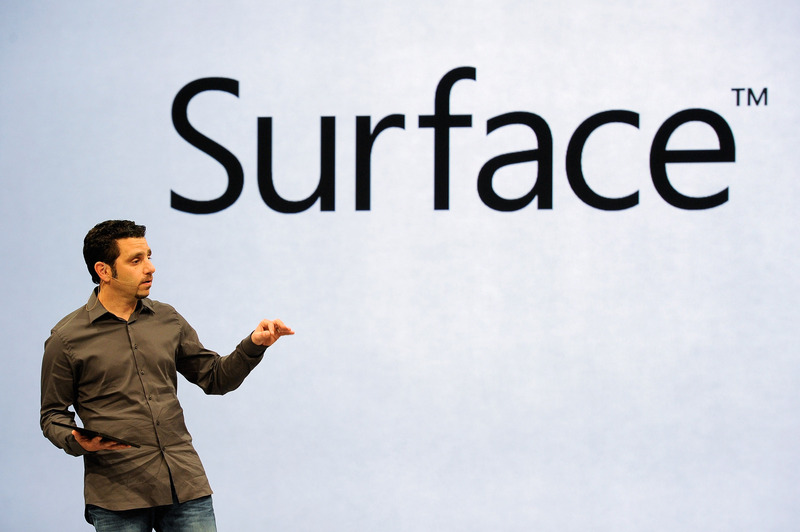 The pricing announcement comes more than a week before the tablet is expected to go on sale, with Microsoft launching its new Windows 8 operating system on October 26. The 32GB model starts at $499 without a Touch Cover (with its magnetic keyboard). For those of you keeping price score, that’s $100 less than Apple charges for the current generation iPad with the same storage capacity. If you want one of Microsoft’s unique ‘Touch Cover’ cases that doubles as a keyboard and touchpad, you will need to pay $599 for your device. While the 32GB model can be added to your Microsoft Store basket, you won’t be able to complete the transaction. In our tests, the store directed us to a white page, not allowing us to proceed with the checkout process. In the box, Microsoft will bundle Office Home & Student 2013 RT Preview, Black Touch Cover (where applicable), power supply, QuickStart Guide and all the relevant documentation. The tablet will come with a one-year hardware warranty and 90 days of complimentary tech support. 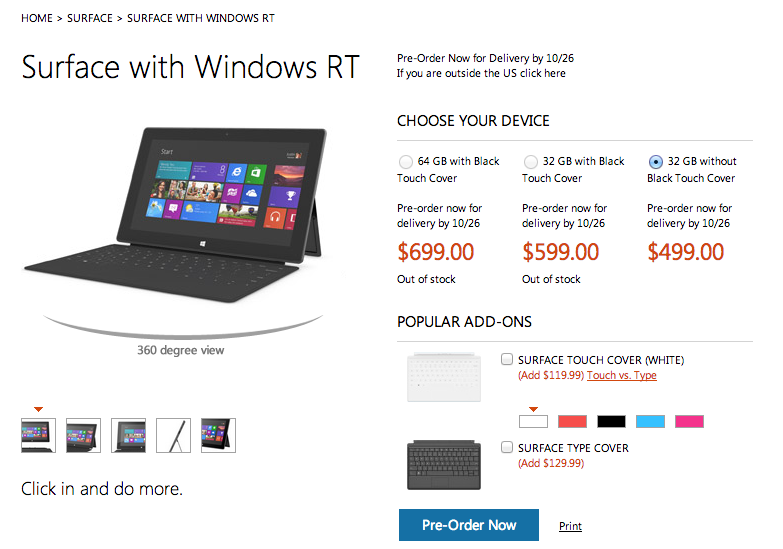 It also appears that the Surface RT tablet will also be available for preorder outside the US , judging by the “If you are outside the US click here” wording present on the store. Microsoft says that customers that preorder now will receive deliveries by October 26, as expected.